From the author of the internationally bestselling The Art of Hearing Heartbeats series, comes this charming collection of folktales that offers a window into Burma's fascinating history and culture. Since 1995 Jan-Philipp Sendker has visited Myanmar (Burma) dozens of times, and while doing research for his novels The Art of Hearing Heartbeats and A Well-Tempered Heart, he encountered numerous folktales and fables. 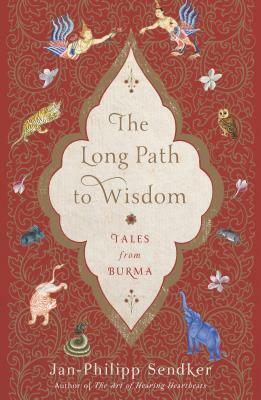 These moving stories speak to the rich mythology of the diverse peoples of Burma, the spirituality of humankind, and the profound social impact of Buddhist thought. Some are so strange he couldn't classify them or identify a familiar moral, while others reminded him of the fairy tales of his childhood, except that here monkeys, tigers, elephants, and crocodiles inhabited the fantastic lands instead of hedgehogs, donkeys, or geese. Their morals resemble those of the Brothers Grimm or Hans Christian Andersen, illustrating how all cultures draw on a universal wisdom to create their myths. The Long Path to Wisdom's evocative stories run the gamut of human emotions, from the familiar to the shocking, and are sure to delight fans of The Art of Hearing Heartbeats as well as those newly discovering the magic of Sendker's incandescent writing. Jan-Philipp Sendker is an internationally bestselling author born in Hamburg in 1960. He was the American correspondent for Stern from 1990 to 1995, and its Asian correspondent from 1995 to 1999. In 2000 he published Cracks in the Wall, a nonfiction book about China. His first novel, The Art of Hearing Heartbeats (Other Press), was published in 2012, and the sequel, A Well-Tempered Heart (Other Press), appeared in 2014. His third novel in the trilogy is set to be published in 2019. He lives in Berlin with his family.